There is no proof of the ancestry of John Culpeper of Barbados, and it is pure speculation that he is the son of Rev. William Culpeper of England and Barbados and Margaret Alleyne. Whoever John's parents, it seems likely he was born in England as there is no evidence of Culpepers in Barbados as early as 1644. The only certain reference to John Culpeper of Barbados was on 27 Jan 1663: John Culpeper, age 19, gave a deposition regarding the will of Armel Gould. Thus, he must have been born about 1644. In a pedigree chart, entitled "Culpeper of Barbados of Bayfield and Elsewhere in that Island" (author and date unknown), a John Culpeper (died 1676) is shown with no ancestry and married to Eliza who had a will dated 1686 (Col. Sec. 's Office, Barbados). This couple is shown with two daughters: one who was married to Daniel Boyle and the other, Deborah, who died in infancy in 1676. It can be argued that John Culpeper of Barbados is the one who emigrated to South Carolina and became known as the "Carolina Rebel." He is designated on this website as John Culpeper of Albemarle NC. While there is solid evidence that John Culpeper of Albemarle NC did come to South Carolina from Barbados in 1671, his journey may have begun in England and only passed through Barbados on the way. 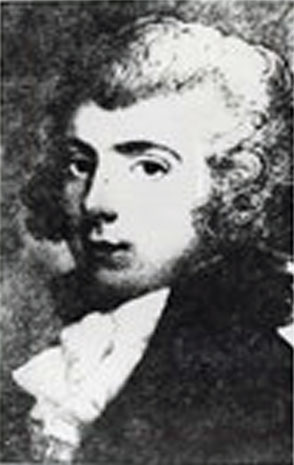 However, if the John Culpeper who gave the deposition for Armel Gould is the same as the John Culpeper of the pedigree chart who died in 1676 in Barbados, then John Culpeper of Barbados could not have been John Culpeper of Albemarle NC, because of the latter's departure from Barbados in 1671. No record has been found of John Alleyne Culpeper of Barbados other than his mention in the "Genealogies of Barbados Families". As middle names did not come into use in Barbados for another 100 years, it is quite likely that John Alleyne Culpeper of Barbados was really John Alleyne, an orphaned relative of his mother, Margaret Alleyne of England and Barbados. It is possible that John Alleyne Culpeper of Barbados became John Culpeper of Albemarle NC, but there is no conclusive evidence to support this.